Kat (Emily Mortimer) cuts Elizabeth's (Cate Blanchett) hair in preparation for her crowning. 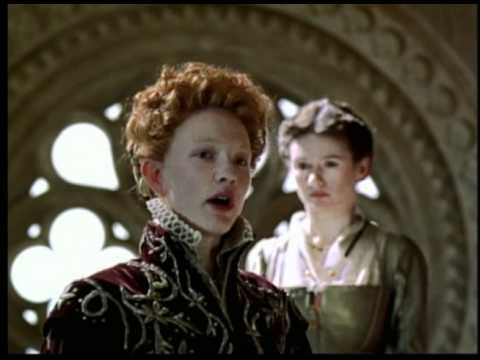 Film Description: This British-made historical drama depicts the rise of young Elizabeth Tudor to Queen of England, a reign of intrigue and betrayals. 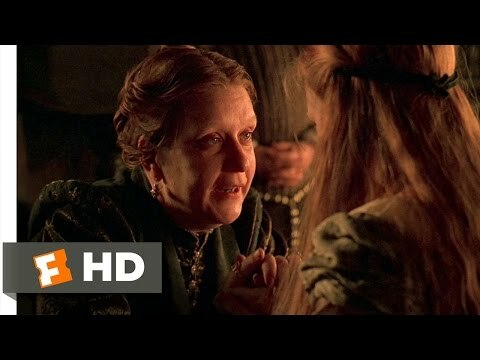 In 1554, Queen Mary I (Kathy Burke) tries to restore Catholicism as England's single faith. With no heir to the crown, she maneuvers to keep her Protestant half-sister Elizabeth (Cate Blanchett) from succeeding her, but her efforts fail. With Mary dead, Elizabeth is proclaimed Queen of England in November 1558. Elizabeth relishes the return from exile of her childhood sweetheart, Lord Robert Dudley (Joseph Fiennes). Chief adviser Sir William Cecil (Richard Attenborough) urges the young Queen to forget personal matters and instead address the country's pressing problems. 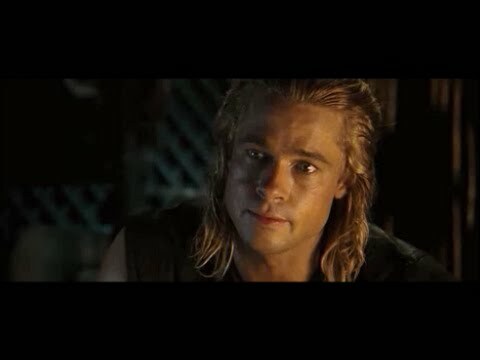 England is bankrupt, has no army, and is under serious threat from abroad. Elizabeth even has enemies within her own court, the most dangerous being the Duke of Norfolk (Christopher Eccleston). 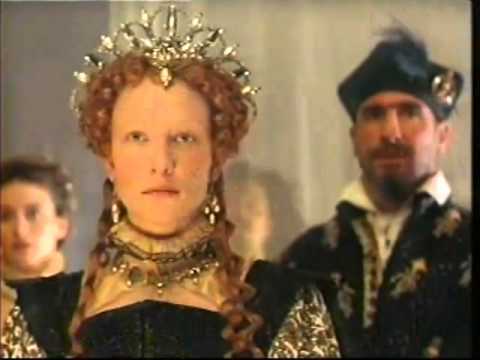 Hoping for an heir, Cecil suggests marriage candidates -- King Philip II of Spain or the French Duc d'Anjou (Vincent Cassel) -- to secure the realm. Elizabeth agrees to meet their ambassadors, but her true feelings are revealed when she meets Dudley for a secret tryst. 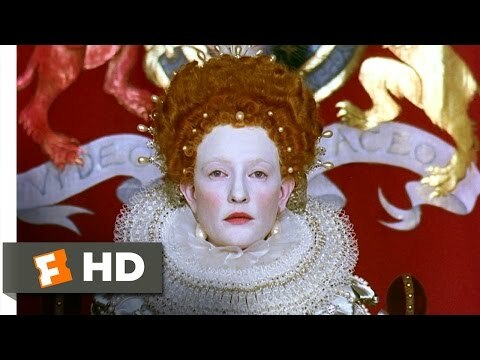 French "warrior queen" Mary of Guise (Fanny Ardent) amasses troops at the Scottish border. 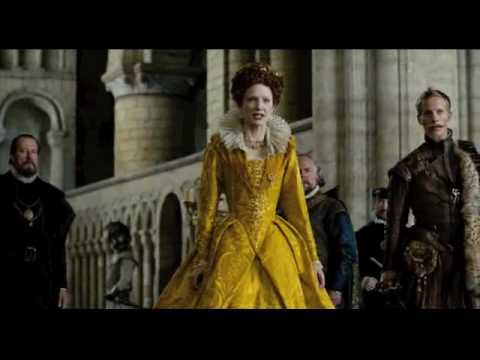 Elizabeth bows to the pro-War lobby led by Norfolk, despite protests from her Master of Spies, the enigmatic Sir Francis Walsingham (Geoffrey Rush), but the decision to fight leads to a humiliating defeat. As dark clouds of court conspiracies gather, and the possibility of assassination looms, Elizabeth strikes out at her enemies and puts her trust in Walsingham. Shown at 1998 film fests (Venice, Toronto), this is the first English-language film of Indian director Shekhar Kapur, who shot on locations at Northumberland, Derbyshire, North Yorkshire, and at Shepperton Studios.